But tomorrow morning after our Café in the Sky in Mt. Sto. Tomas was through, it’s going to be different. 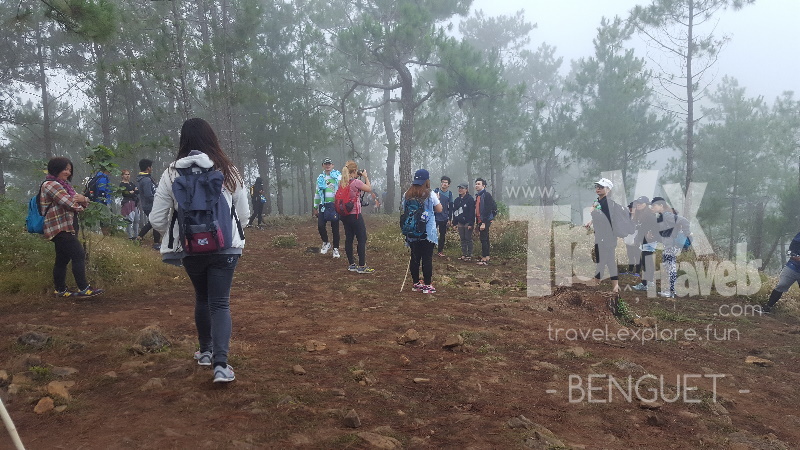 It will require us to burn calories and fats because hiking Mt. 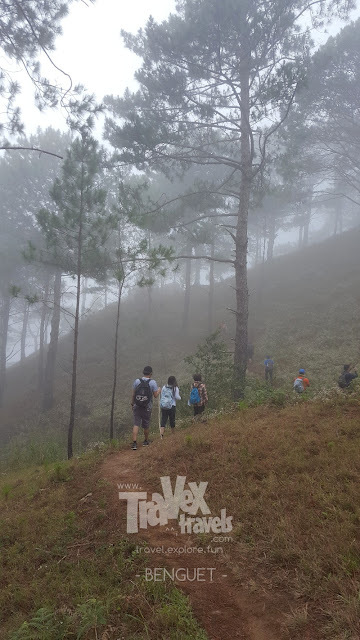 Ulap is real day hike. 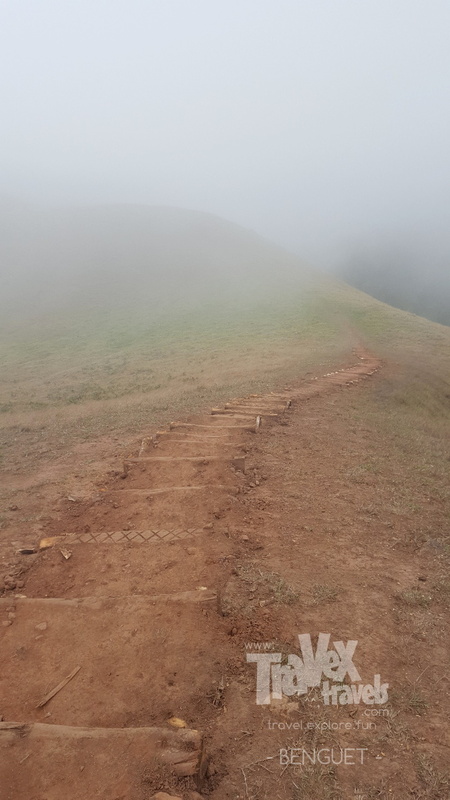 The only way to reach the top and peaks of the hike package is to walk your trail to the top. And this is where it gets exciting. 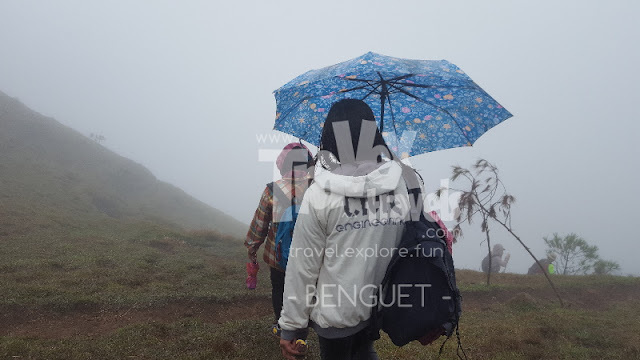 We called the tourism of Ampucao in Itogon, Benguet to make sure if we still have slots for our schedule on Sunday that day. 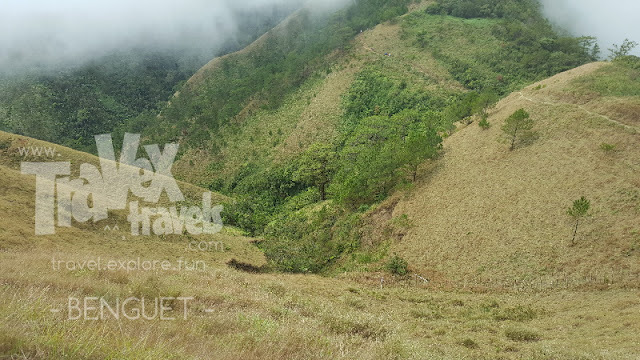 Yes, you might need to call Ampucao Tourism in advance to check if you are still within the total capacity limit of visitors going to Mt. Ulap. They can cater hundreds of tourists, and each group of approximately 5 shall have at least one guide, which is already partly paid by the requirement of P600.00 per group. We thought Mt. 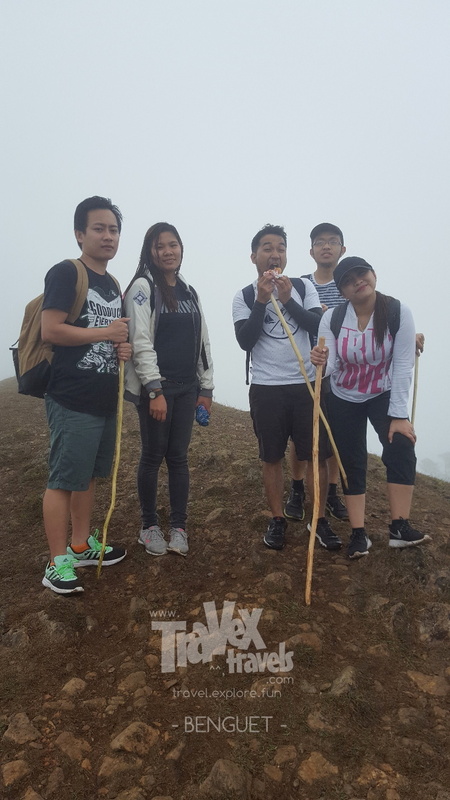 Ulap was an easy hike. We thought it was a 2 out of 10 hike. We wrong. 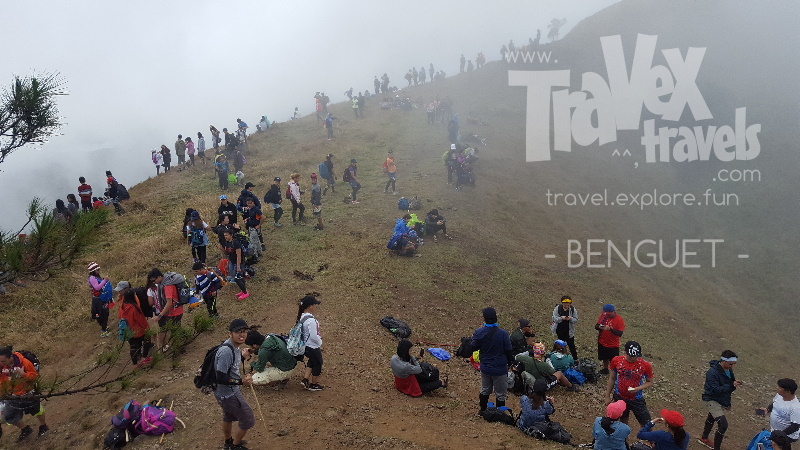 It was a full day hike and a traverse one (meaning you will exit in another location instead of going back to the previous trail you’ve had before you reached the peak). It will really require you some good energy so prepare water and energy drinks. We were supposed to ride the jeepney going to Ampucao, Itogon, Benguet. The terminal is at the back of Jollibee Magsaysay (beside Baguio Center Mall). Locals can pinpoint to you where it is so just ask. The earliest trip goes at 5:30 I guess. We decided back then to just Grab a taxi to Ampucao. We paid a little less than P500.00 for a group of 5. 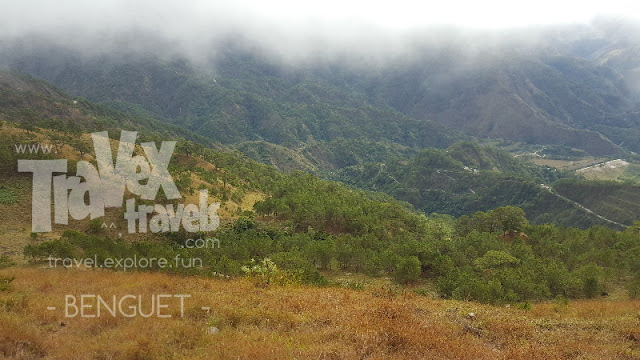 It was almost an hour away trip from Baguio City to the tourism desk of Ampucao in Itogon, Benguet. This is also where the trails to Mt. Ulap starts. There were so many tourists there when we had our day hike. I guess because of its becoming popularity, the swarm of tourists then was a sign of its effective promotion. The main attraction of Mt. Ulap is the protruding big rock where you can take pictures. 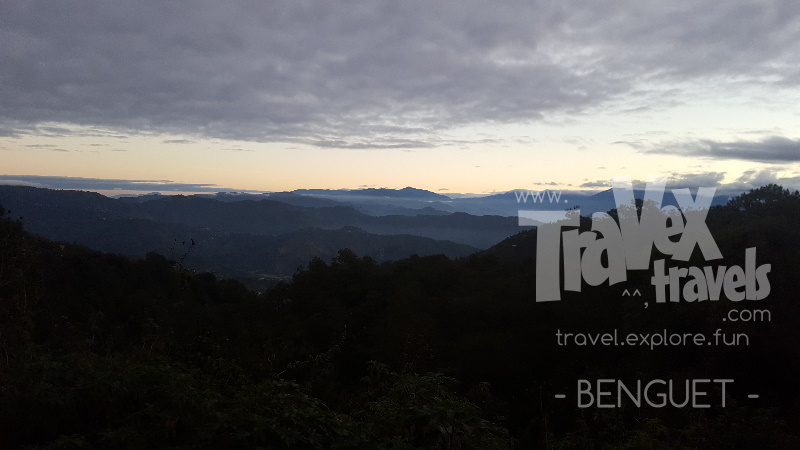 The background of which is the sky and mountains of the Cordillera. But before you reach it, you will get to reach 2 peaks before Mt. 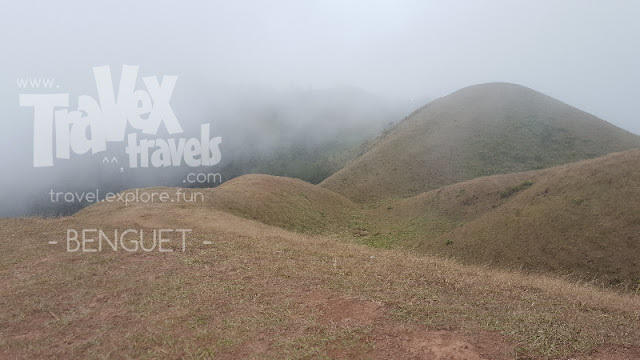 Ulap’s peak elevation. It’s an adventure to try. 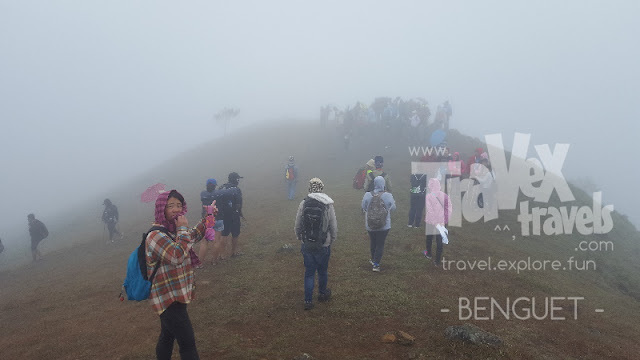 See the multitude of tourists also craving to see the wonderful Mt. Ulap peaks. 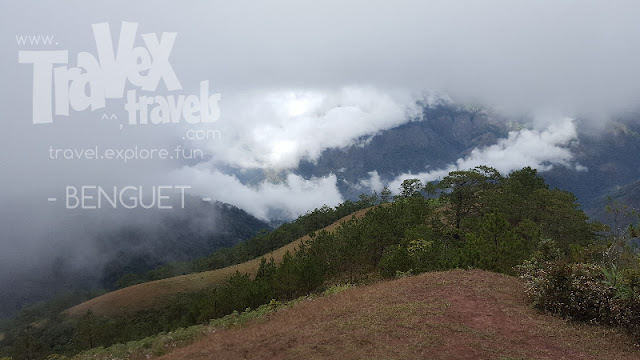 The first parts were easy, however, by the time we reached the unpaved paths going up to the hills and forests that is where we started to catch our breaths. 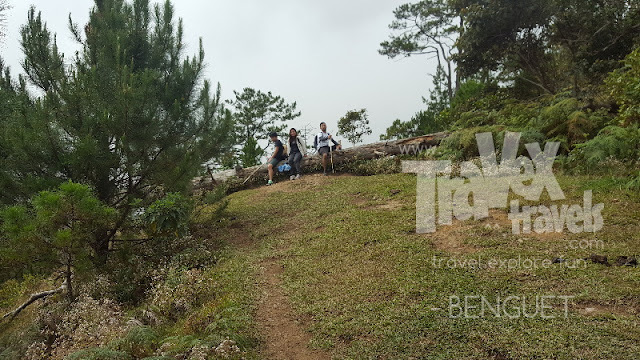 Most trails on the first paths are ascending, so better have bottle of water or Gatorade in case you need to reenergize. The weather is cool though when we had our climb, so it is not as tiresome as it was supposed to be. We are not so used to climbing already, since we have spent years after graduation in Manila. During our times in Baguio, hiking and walking up hills are an easy task, however, this time around when we had this unplanned hike, we got tired from time to time so we took a short rest for every hill that we get to hike. 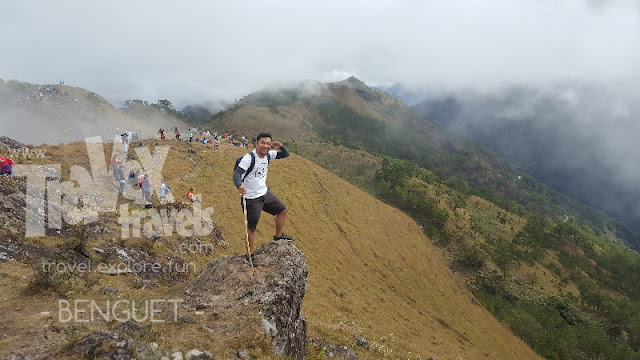 Luckily our tour guide is kind enough and patient to wait for us and accommodate us during our hiking trip in Mount Ulap. 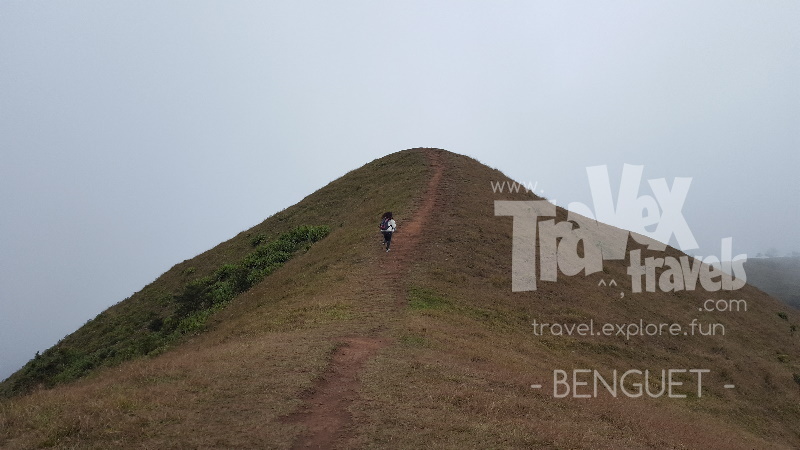 Although most of the time we are trekking uphill, from time to time there portions of the trail where we need to go down the hill and ascend again in the adjacent mountain. This is literally the “ika-pitong bundok” mode of hiking. 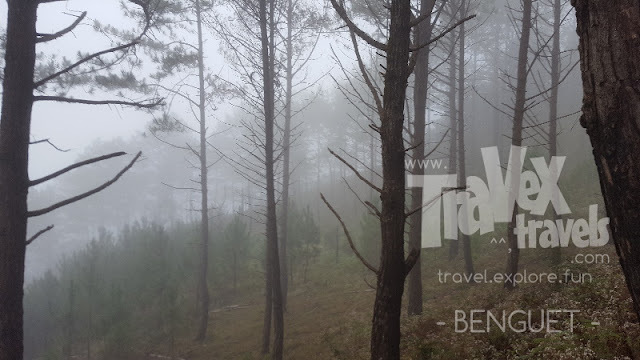 When we had our hike, it was foggy so the views are a bit dreary (and creepy) in a way since most of the mountains are covered with pine tree forests and ravines. 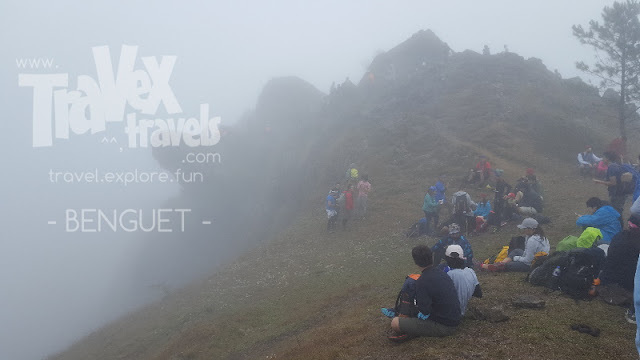 We were not able to see overlooking views in our way because all we can see were whites and fog. Probably if you hike there during summer where the sun is up, you will get to see the beautiful sceneries in Benguet. We reached the first peak of the eco-tour to Mt. Ulap. I already forgot its name already because we did not take the opportunity to take photos of the signage because there were a multitude of people during our trip, so imagine having a bunch of tourists, about 5 field trip buses, all hiking to reach Mount Ulap! I don’t know if it is always the case. When we got there, it was Session in Bloom season so, probably there are less tourists during times where there are no festivities in Baguio or Benguet. 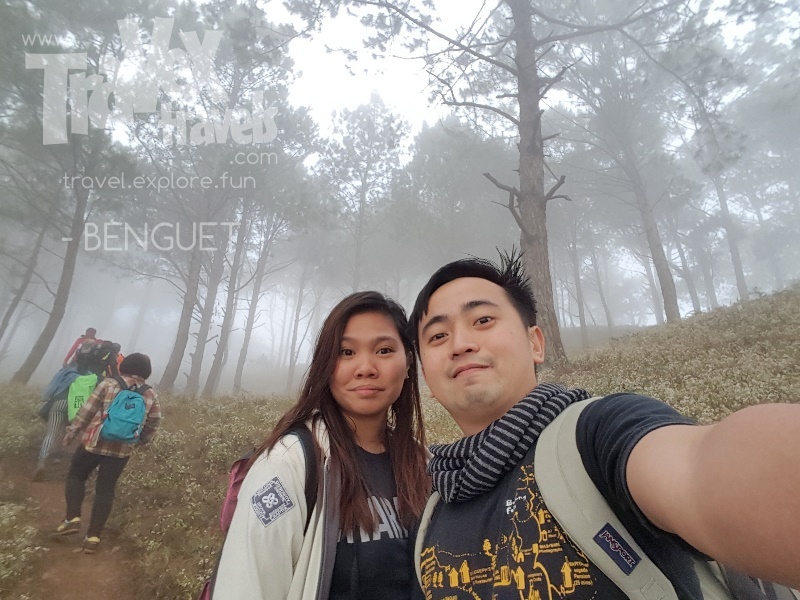 If you are planning to hike Mount Ulap, be prepared with everything—from food to water to clothing gears. I was wearing a worn out Sperry shoes that time and it was hard to trek especially downhills because it feels slippery when you walk. Lesson #1, use appropriate trek shoes. With regards to the clothes, jackets will do, especially if you plan to hike the mountain in January or February where morning temperatures can reach as low as 10 degrees. The air is cool, however, when the wind blows, that’s the time it really gets cold. 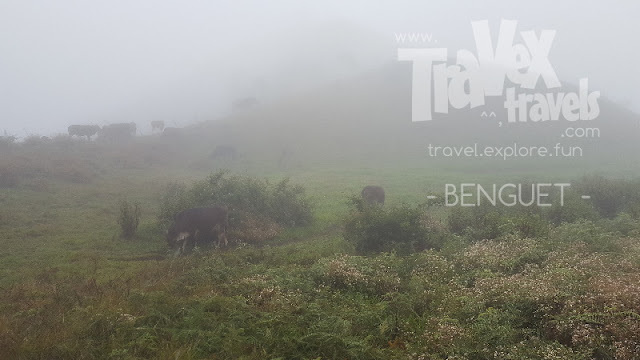 On some parts of the mountains, you will get to see grazing cows and half from up above are covered with fog and it really feels like you are in New Zealand because of both the weather in scenery. Not long enough we reached the popular Gungal Peak and the surroundings where the protruding rock is located. 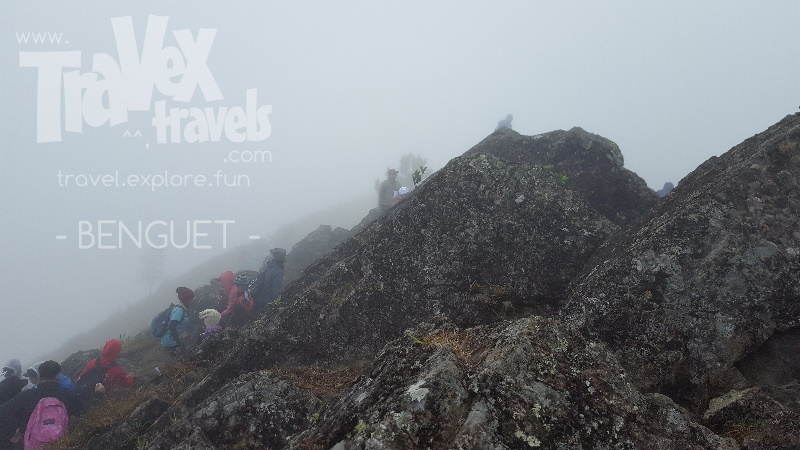 It was foggy that time so even if you take pictures of the protruding rocks, the views at the back are just whiteness. We did not manage to go over the crowds and wait our turn to have our own selfies so we just managed to take photos from other locations of same beauty. By that time somehow, some of the sunlight has shown luckily so we were able to get a good view. But that was quick. The protruding rock is the best and most popular location in the Mt. 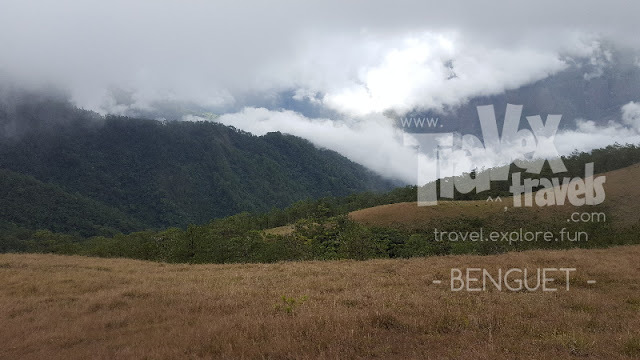 Ulap eco tour and trek. The Mt. 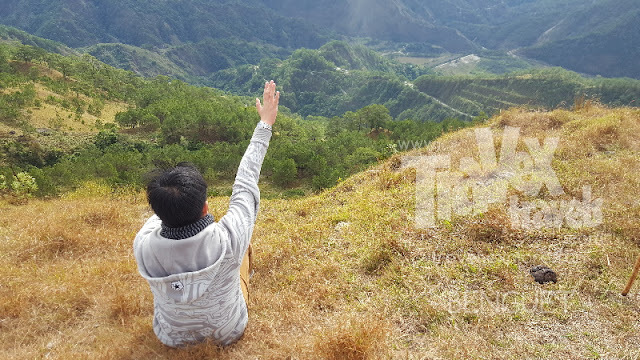 Ulap peak itself is not really that majestic as compared to the second one you will get to see before you reach the peak of Mt. Ulap. But here, we were able to take pictures of us on the peak of Mt. Ulap. In a few hours, (yes h-o-u-r-s), we finished doing the Mt. 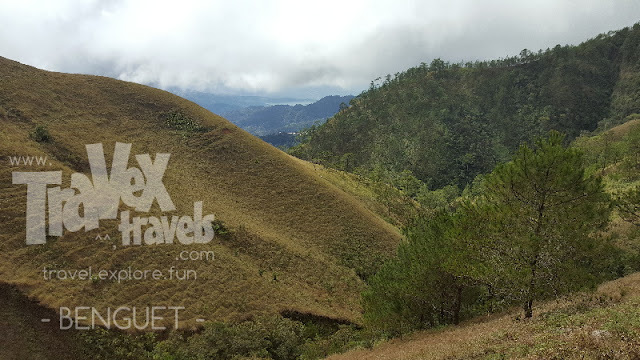 Ulap eco-tour and hike. We though it will only take 2-3 hours but we were all wrong! It took us 7 hours to finish the trek. We started at around 6 to 6:30 AM and ended the tour at around 1-2 PM already. We arrived back in Baguio at around 3 PM (Jeepney fare is P50.00). Some of my friends dropped off to Kias and Loakan (as they are from there) and I went to Governor Pack Road to ride a van going to Tarlac. It was a short trip to Baguio and it will take years again before I get to see my college buddies. 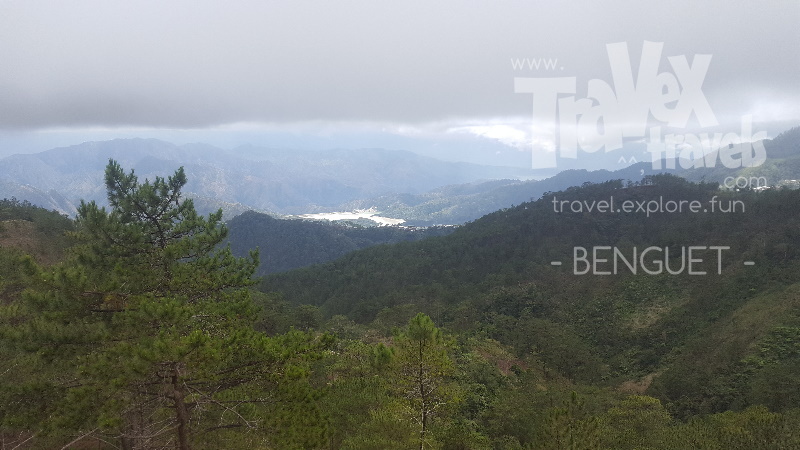 When in Baguio City, go to the jeepney terminal at the back of Jollibee Magsaysay, just beside the Baguio Center Mall. Ask locals how to get there. Fare of jeepney is P35.00 and approximately less than an hour. When in Ampucao, head to tourism desk and pay environmental and tour guide fee for the whole group. The more you are in the group, the less you pay. **Note: You can hire a taxi or Grab a taxi to Ampucao, it should be P500.00 or less. When we did that, we only paid P400.00 for the Grab as he negotiated since it was still early in the morning.